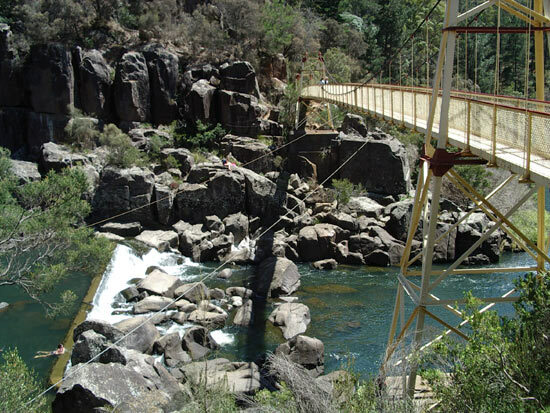 The Cataract Gorge is in Launceston, around 1.5 km from the city centre. It is one of the region's premier tourist attractions for the area and is found at the lower section of the South Esk River. First Basin on the southern side features a swimming pool, a chairlift, two cafés, and an open area surrounded by bushland. The basin itself has created many myths about its depth - some locals say it is a bottomless pit, or a volcanic plug. However, First Basin was formed by erosion at the intersection of two geological faults. A submarine sent in to find its bottom during the 1960s ran out cable before accomplishing this feat. Watch four video preview clips (each about 10 minutes long) taken from Bob DeWaay and Warren B. Smith’s lecture series, Exposing the Quantum Lie: God is NOT in Everything. This profound, insightful, and biblical material is absolutely vital to understanding what is happening in the church today. Are you a Christian who loves studying the Bible? I have written a short study on Sin and Sanctification which is taken from St Paul's epistle to the Romans. If you would like to be challenged by the truth of God's word, download the document here. It is easy reading, and you will also find it easy to understand. Habits are hard to break. Try replacing a bad habit with a good one. It takes a lot of determination, persistence and grit to make a success of . . . Many years ago I wrote in a church magazine that churches should be run like businesses. I was wrong, and this caused outrage among the church . . . In the above Scripture we are presented with a dichotomy of action and behaviour. On one side of the equation is the “flesh” and on the other the . . . The Bible has numerous passages showing how God is going to end human history and create new heavens and a new earth. Here Peter makes reference . . . The leading of the Holy Spirit is one of the least understood concepts in the New Testament. In fact it is blatantly misunderstood by many . . . According to Paul a body consists of many parts all working together so that if one part suffers all parts share the pain and concern. No one part . . .
Charismatics and Pentecostals make a big deal out of praying in the Spirit. They will take verse 26 out of context to excuse a practice which is . . .
That’s right, the last paragraph in the quoted scripture above is actually the first part of chapter 8; but it follows directly on from the end of . . . This website uses IP2Location LITE data available from http://lite.ip2location.com.